Every once in a while a product comes along that makes you think, “why didn’t I think of that?”. This is one of those products. 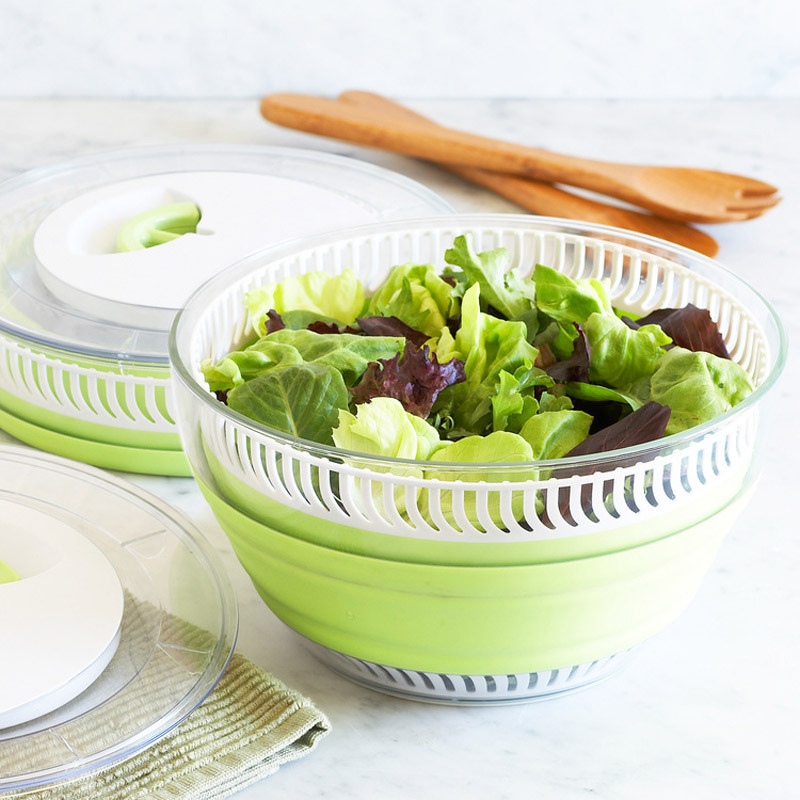 A salad spinner is an essential cooking tool, but who has room to store it? It’s bulky and difficult to squeeze in small cabinets. This 5-quart spinner collapses down to a mere 3-inches tall and will clean anything from lettuce to fruit to herbs. Easy to store, use and the price it right! It’s a must have for any kitchen! 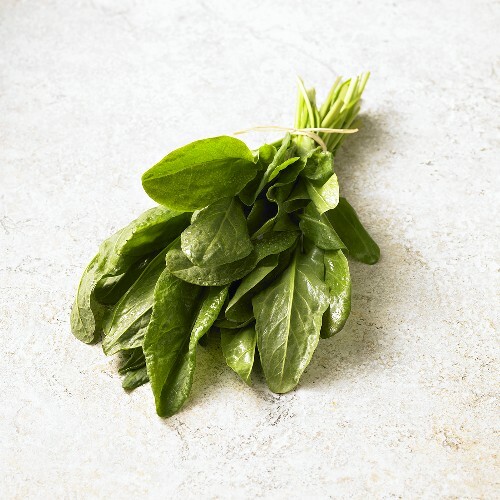 Sorrel, also known as garden sorrel or spinach dock is a beautiful tender, arrow-shaped green with a delicate lemon flavor. 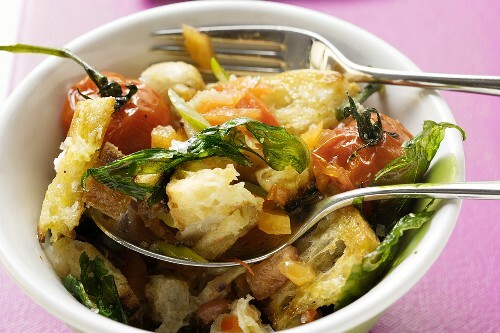 This spring time delight adds the perfect punch to salads, sauces, or soups. Choose smaller, bright green leaves as opposed to larger ones to fully capture the beautiful fruity and less acidic flavor. To make the most of sorrel use shortly after purchase. The delicate leaves tend to wilt quickly. If you do need to store for later use, wrap in a moist paper towel and tuck into a plastic bag. They should keep fresh for up to three days. Wash well and make sure to remove all traces of sand or dirt. Dry in between paper towels. If the center ribs seem tough, pull the tender leaves off in wide ribbons. 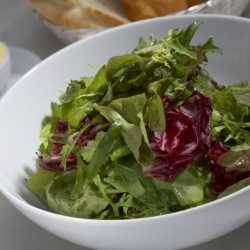 Once clean, add fresh sorrel to salads or on sandwiches. You can also purée and add to sauces or soups. The lemony flavor pairs wonderfully with salmon, quickly sauté sorrel with a little garlic and serve as you would spinach. Make a sorrel compound butter by adding equal parts chopped sorrel leaves and chives to softened butter. Serve on top of grilled fish or chicken. Take a classic pesto and elevate it by using replacing half of the basil with sorrel. Toss with warm pasta or use on a grilled chicken sandwich. Want Sorrel all Year Long? Puree sorrel with a little water and pour the mixture into an ice-cube tray. Add the frozen cubes to sauces, dressings or soups. Even turn it into Sorrel pesto. This works best if you use the frozen sorrel with in a few months.